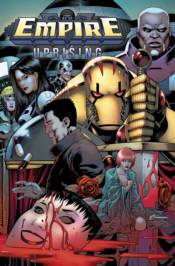 A decade after the groundbreaking first volume of Empire, Mark Waid and Barry Kitson's beloved Eisner-nominated series returns with the all-new Empire: Uprising! It's been a year since the events of the original series, and much has changed for Golgoth, the first supervillain to finally have conquered the world. But can he hold onto his rein-and does he even want to? Collects issues #1-4.